The last batch of vanilla I had made was from a recipe that used an Anglaise base so I decided it was time to give Ben and Jerry’s French Vanilla Ice Cream recipe a try that uses raw eggs. 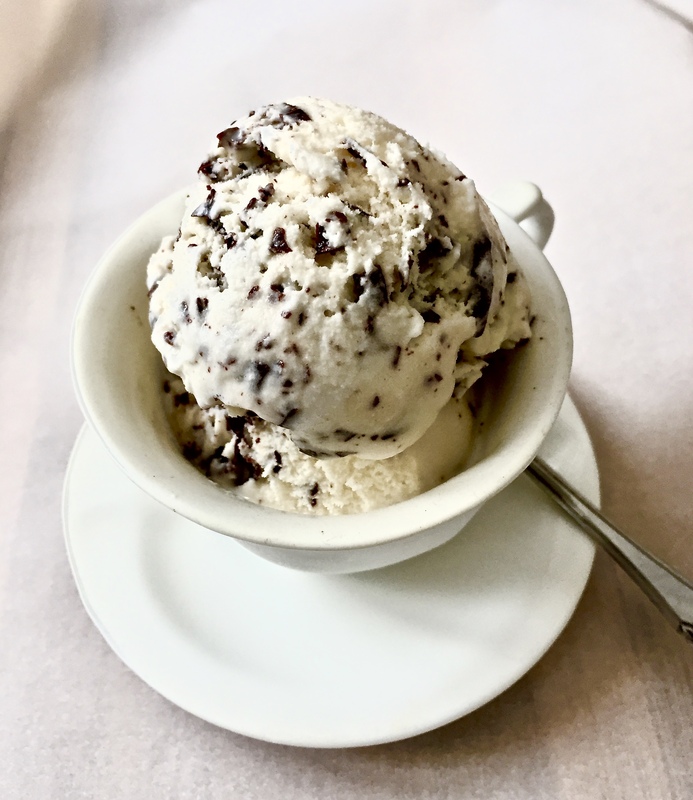 I had made their Chocolate Ice Cream and wasn’t too impressed with the grainy texture (but was gleefully consumed none- the-less) and after making another batch of Chocolate from another recipe with a Anglaise base, I could compare the two. The Anglaise base was a hands down. So the verdict on the raw egg Vanilla Ice Cream compared to the Anglaise base Ice Cream?…Ben and Jerry’s was not bad. Although, I notice that there is a definite lack of richness in their recipe as opposed to the Anglaise base. 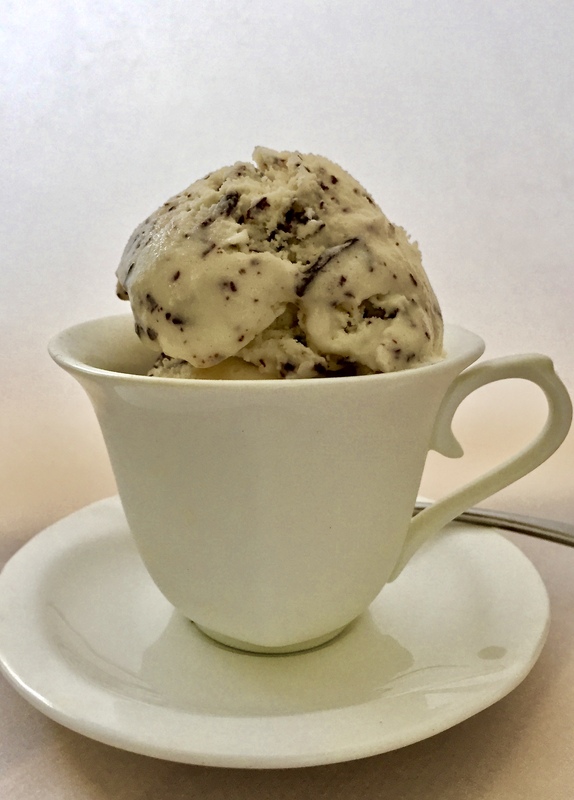 Bonus was making it into Chocolate Chip Ice Cream, a variety not available in stores in B.C but is a favorite of mine as a kid growing up in California. Stay tuned for Rocky Road, another variety not made here, well they have some versions they call Rocky Road that I’ve had but aren’t what I remember as a kid. I intend to rectify the situation. I’ve begun a daily exercise regimen too. Whisk eggs in bowl 1-2 minutes, add sugar slowly while whisking and mix for another minute. Pour in the Heavy Cream, Milk and Vanilla and whisk to blend well. Previous Post Did I mention that I LOVE Scones?